Zenphoto est une application de galerie photo. Zenphoto a été initialement publié en 2005 et les utilisé aujourd'hui pour plus de 300.000 galeries de photos. 30 Janvier 2017 - 42MBThis security issue affects specifially the third party phpmailer library used by the PHPMailer plugin. Zenphoto now exposes only the general Zenphoto version and the script generation time within the html comment at the bottom of  front end theme files. Formerly it also exposes some server related data like the graphic lib and which plugins are being used. 18 Août 2016 - 42MBThis is a minor bugfix release. 14 Mars 2016 - 42MBThis is a bugfix and security update. The admin toolbox you get on your site frontend in the top right corner if loggedin has been modified to a fullwidth toolbar now. The reason is that especially on mobile themes/ small viewport sizes the old button may cover and therefore disables the actual site menu in that corner. For this reason the toolbox now pushes the  down so no overlapping should occur. Also the list entries have been made bigger so it is more suitable for touch device usage. Zenpage: Additionally the link element of entries that are protected have the class has_password attached. main id: Additionally, the link element of entries that are protected have the class has_password attached. 1 Décembre 2015 - 42MBThis is a bugfix and security update. 21 Septembre 2015 - 42MBThis is a bugfix release. 9 Juillet 2015 - 42MBThis is a security and bugfix release. Normally on basic themes the gallery index is the same as the site index ( = home page). 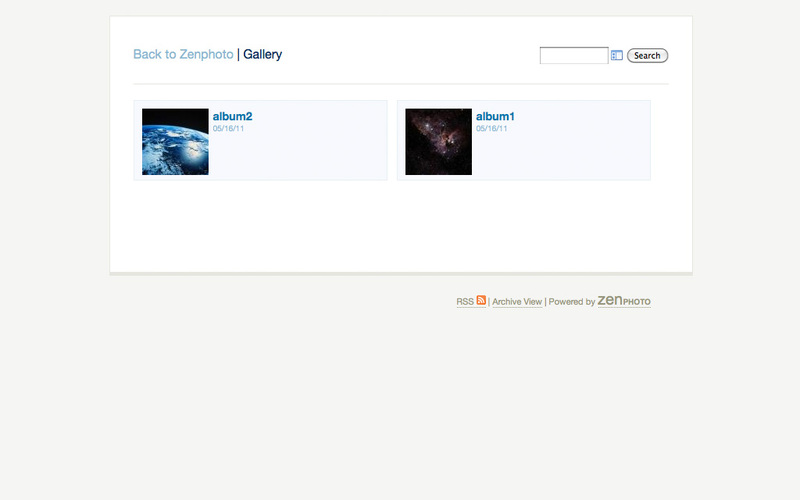 But on themes that set a custom gallery index page (e.g. Zenpage, Garland, Efferscene+) those are really different pages so the breadcrumb was actually wrong. Therefore a new template function printGalleryIndexURL() has been introduced that automatically prints a home link if needed (e.g. printing Home > Gallery index) or the real index link where needed. This internally uses an also new function set of get/printSiteHomeURL() that always returns/prints the home page url. This is additional functionality and your custom or customized theme doesn't require any update if you are fine with the old (wrong) behaviour. 18 Mai 2015 - 42MBThis is a security and bugfix release for some issues that unfortunately sneaked in. As usual this release is recommend for all users. If you are using plugins with content macros that generate html, a conflict with TinyMCE's automatically wrapping everything using paragraphs could occur. 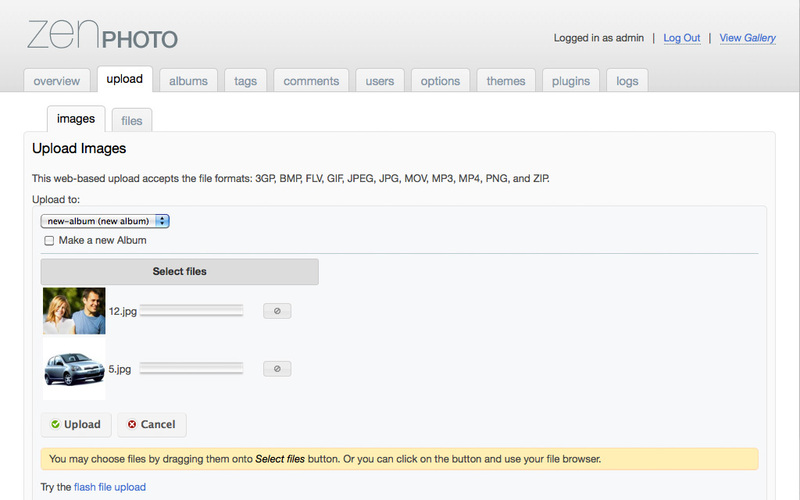 Zenphoto now validates such html using the server side PHP Tidy extension if it is present on the server used. 23 Janvier 2014 - 42MBThis is a security and bugfix release. Multiple minor errors are corrected. 24 Décembre 2013 - 42MBThis is a bugfix release. Multiple minor errors are corrected. 3 Novembre 2013 - 42MBThis release fixes a critical issue in the Zenphoto 1.4.5.6 involving storing characters with diacritical marks. 2 Novembre 2013 - 42MBThis is a bugfix release. Multiple minor errors are corrected. 4 Octobre 2013 - 42MBThis release fixes a problem on site closure introduced in the 1.4.4.4 support release. You will not be able to close your site unless the root index.php file from this release is first uploaded to your site. 3 Octobre 2013 - 42MBZenphoto 1.4.5.4 is a security update. For more detailed info about the fixes please review the GitHub issues list. 9 Septembre 2013 - 42MBMultiple minor errors are corrected. 5 Août 2013 - 42MBMultiple minor errors are corrected. This version of Zenphoto incorrectly identifies itself as version "1.4.5". A patch for this issue has been included. Zenphoto is now release under the license GPL v2 or later (before: GPL v2 only) to be compatible with GPL v3 which a lot 3rd party tools use nowadays. 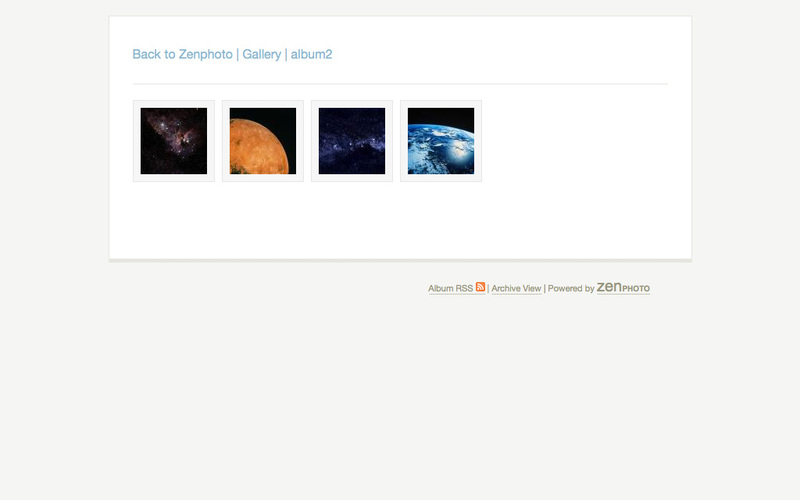 Zenphoto uses jQuery 1.9.1 and jQuery UI 1.9.1 which is as ususal loaded on themes. Since jQuery 1.9 removed some functions older jQuery based tools may break. 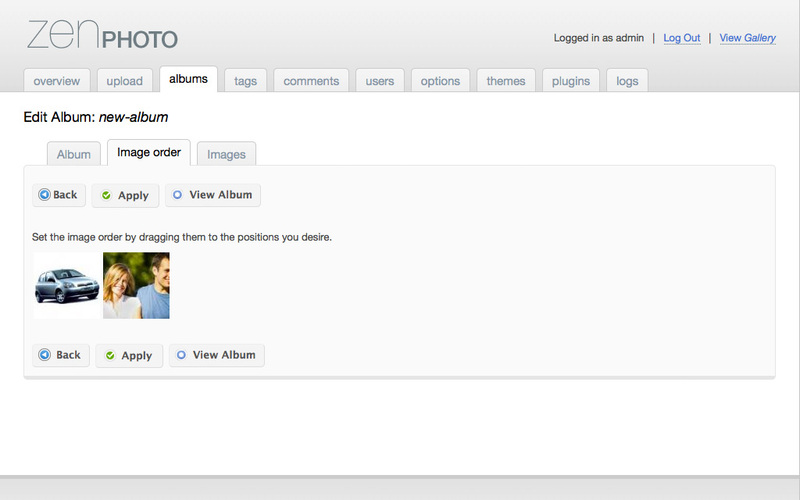 You find info about those changes and a jQuery migrate plugin to workaround here: http://jquery.com/upgrade-guide/1.9. Use of Flash has been removed from themes and plugins (except fallback in jPlayer for older browsers naturally). 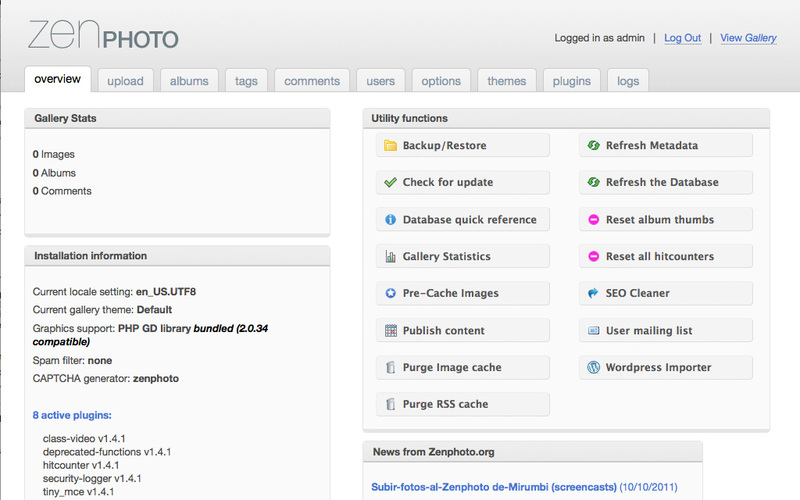 1 Juin 2013 - 42MBZenphoto 1.4.4.8 is a bugfix release. Multiple minor errors are corrected. 26 Avril 2013 - 42MBMultiple minor errors are corrected. A Cross Site Reference Forgery security hole has also been closed. Thanks to Daniel Yang for reporting the issue to us. 11 Avril 2013 - 42MBMultiple minor errors are corrected. 3 Mars 2013 - 42MBMultiple minor errors are corrected. 1 Février 2013 - 42MBCorrects the check_for_update plugin so that it does not improperly report that there is a newer release and prevents lowercasing the default database handler name. New stronger password hashing algorithm pbkdf2.